As a literary device, alliteration is common in poetry. 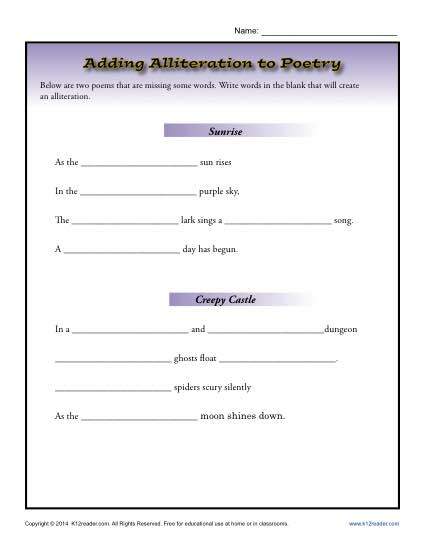 In this worksheet, your student will add words to two poems to create alliterations. The poems are written so the student’s words can determine the mood of the poem. It’s a good way to work on 4th grade Language for Common Core Standards, although other students may also find it useful.